The season changes once again and brings with it our most exciting Watermark University catalog to date. 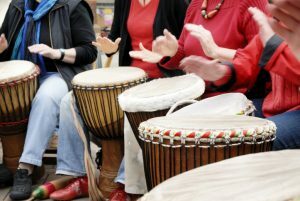 With more than 30 different classes with everything from Music & Motion to Oil Pastels to Getting To Know Your iPhone to Healing Drums and even Guided Imagery, you’re sure to find a class that piques your interest. While these amazing classes are for, and taught by, our residents and associates, we always love having a few guests. Give us a call at 1-510-585-9864 to try out a class or two.